The World Health Organisation says children who grow up in families in which there is intimate-partner violence may suffer a range of behavioural and emotional disturbances that can be linked to the perpetration or experience of violence later in life. 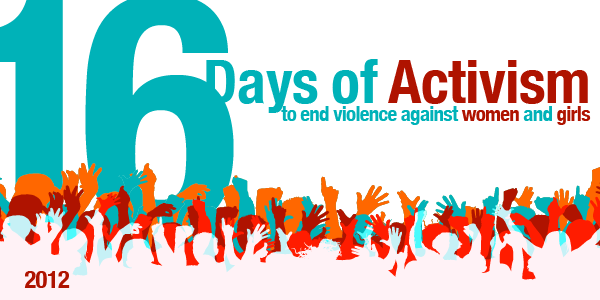 During this time, the South African Government runs a 16 Days of Activism campaign and every year, government, civil-society organisations and the business sector work together to broaden its impact. By supporting this campaign, thousands of South Africans have also helped to increase awareness of abuse and build support for victims and survivors of abuse. To be a child in South Africa is to walk a fragile path to adulthood. Our country is home to nearly 19 million children, many of whom are vulnerable. Two-thirds of all children live in poverty – many in homes with unemployed, single, chronically sick or elderly parents and caregivers. Poverty collides with South Africa’s severe AIDS epidemic, high unemployment and poor service delivery to create great hardship for thousands of families. Many children experience a broken journey through school, interrupted by irregular attendance, absent teachers, teenage pregnancy and abuse and violence in and around schools. South Africa’s high levels of poverty continue to deny thousands of children access to quality education. Around 27% of public schools do not have running water, 78% are without libraries and 78 per cent do not have computers. The country’s high prevalence of HIV and AIDS has resulted in high rates of orphaned children. Around 3.7 million children have lost one or both parents, many to HIV-related illnesses. Most orphans live in extended families, already under stress due to the impact of the pandemic. Childhoods are stolen as children take on adult roles, drop out of school and go without healthcare and good nutrition. Eduloan advocates people to change their lives by acting today. If you or someone you know is a victim of abuse, now is the time to speak out and end the violence. Don’t wait until tomorrow to act against abuse, take action today – because tomorrow might be too late. For advice on how to report woman or child abuse, visit the SAPS website or contact Lifeline on 0800 150 150.